Feel the action of your favorite movies, shows, and sports with dynamic, powerful bass. Enjoy your favorite movies, shows, and sports with higher quality Audio. Samsung, HW-M550. We proudly stand behind the quality of our products. The system is also equipped with Bluetooth for comfortable wireless streaming and includes three HDMI ports for connecting state-of-the-art 4K devices. Their compact but efficient design provides you with 100 Watts of Peak Power, 50 Watts RMS, 4-6 Ohms and Frequency Range between 100Hz-20kHz for unrivaled sound superiority. When designing your LU43PB high performance speakers we included all the components for high quality long lasting sound. JBL Bar 3.1 Soundbar System - Black. Condition is Uses Like New. Mint, no dings or scratches. Amazing audio quality. I’ve had it for 3 months and have had no issues whatsoever. The only reason I’m selling it is because I upgraded to their Bar 5.1 for that extra surround sound. Comes with original box, contents, and manuals. No optical cable! US shipping only. VIZIO SmartCast 38" 3.1 Channel Soundbar System - SB3831. Dowload the VIZIO SmartCast app to turn your smartphone or tablet into a powerful touchscreen remote. Zero Interruptions: Keep using your device while you cast without disrupting the music even if you get a text or phone call. FOR SALE IS A JBL BAR 3.1 SOUNDBAR SYSTEM WITH WIRELESS SUBWOOFER. This SYSTEM WORKS PERFECT. WHAT YOU SEE IN THE PICTURE IS WHAT YOU GET. WE WILL TRY TO SOLVE THE PROBLEM TO THE BEST OF OUR ABILITY ASAP. Samsung HW-MM55C 3.1 Channel 340W Soundbar. Connect your Soundbar to your Samsung TV. You don’t need several remotes. 3 with ease and without the clutter of wires via Bluetooth. Or connect via HDMI for the best audio and video experience. Its wireless subwoofer eliminates the hassles of a wired connection so you can set it anywhere in the room and surround yourself with richer, deeper bass. Or, connect it directly through HDMI for the best audio and video experience. EUC-Samsung HW-K850 3.1.2 Channel Soundbar- 11 Speakers -No Subwoofer-FREE Ship! 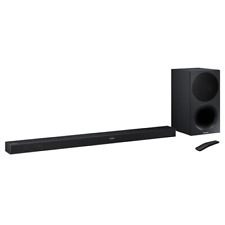 INCLUDES: Dolby ATMOS 11 speaker soundbar, Remote, HDMI cable, power adapter & cables. No mounts. 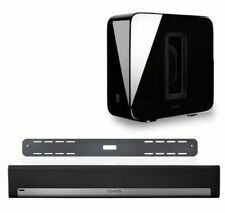 4.5 out of 5 stars - EUC-Samsung HW-K850 3.1.2 Channel Soundbar- 11 Speakers -No Subwoofer-FREE Ship! 22 product ratings22 product ratings - EUC-Samsung HW-K850 3.1.2 Channel Soundbar- 11 Speakers -No Subwoofer-FREE Ship! Vizio SB3830 D0 SmartCast 38in 3 Channel Soundbar System. Very scratched subwoofer's body. Shabby/ripped fabric on the subwoofer. Scratches on soundbar. Also subject to change especially during peak periods. UP FOR SALE IS A JBL Bar 3.1 SOUNDBAR SYSTEM WITH WIRELESS SUBWOOFER. Sony - Wireless Rear Channel Speakers (Pair) - Black. 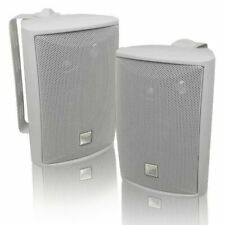 Sony Wireless Rear Channel Speakers (Pair). Complete your HT-Z9F surround system with this Sony rear speaker. Place it on a stand or shelf, or mount it to your wall for unobtrusive performance, and connect to other components wirelessly to keep unsightly cables out of your space. No accessories included. We utilize warehouses across the Continental United States. Once removed it will void your warranty. All of our products will have a unique hollow-gram warranty sticker. Trending at $109.65eBay determines this price through a machine learned model of the product's sale prices within the last 90 days. (no soundbar or speaker wires included). Box was opened only to remove soundbar and speaker wires. New Sony Subwoofer and Remote for HT-CT350 3.1 Channel System. Powered Subwoofer module (SA-WCT350). three HDMI inputs, one HDMI output — compatible with signals up to 1080p (60Hz, 24Hz). Magnavox Surround Sound Speakers and Powered Subwoofer. Powered Subwoofer. (2) Front Speakers. SAMSUNG 3.1 SOUNDBAR 3 CHANNEL SPEAKER - BLACK NEW IN BOX. COM FOR MORE GREAT DEALS! The N550 is designed to integrate seamlessly with most Samsung TVs. This Samsung 3.1-Channel Soundbar System with 6-1/2" Wireless Subwoofer is in great working condition. Samsung HW-N550 340W 3.1-Channel Soundbar. Introducing the all-new VIZIO SmartCast 38" 3.1 Channel Soundbar System - SB3831-D. VIZIO, SB3831-D. We proudly stand behind the quality of our products. 25 Years experience. 100% Functional. We are sure that we can provide a solution that makes you happy. JBL Bar 3.1 450W 3.1-Channel Soundbar System. Includes Soundbar Wall Mounting Hardware. JBL Surround Sound with Up to 450W of Power. Up to 450W of Total Power. Weight 5.1 lb / 2.3 kg (Soundbar). JBL Bar 3.1 Specs. Trending at $429.95eBay determines this price through a machine learned model of the product's sale prices within the last 90 days. 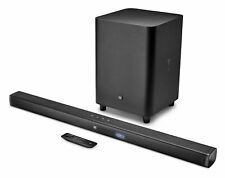 5 out of 5 stars - Samsung 3.1 Channel 340W Soundbar System 7" Wireless Subwoofer HW-MM55 "NEW"
1 product rating1 product ratings - Samsung 3.1 Channel 340W Soundbar System 7" Wireless Subwoofer HW-MM55 "NEW"
TaoTronics 25” sound bar, wired and wireless Bluetooth audio speakers. 6-1/2" woofer. add optional Samsung SWA-8500S wireless speaker kit for full surround sound. built-in Bluetooth for wireless music streaming from compatible smartphones, tablets, and computers. SAMSUNG HWR650/ZA. JBL Flix 2 Center Channel and Surround Speakers x 2 Good Condition, Sound Great! Up for sale is a set of JBL "Flix 2" speakers, including the center channel speaker and two surround speakers. It has been tested and sounds great! BOSE ACOUSTIMASS 3 SERIES IV SPEAKER SYSTEM WHITE SUBWOOFER WITH POWER CORD. IN EXCELLENT WORKING CONDITION.